We are a private, Christian school on the Gold Coast offering a quality education from Pre-Kindy - Year 12, all on one campus. We have an international department for Prep-Year 12, and offer Before and After School Care, and Vacation Care programs. Hillcrest Christian College is an independent, private college established as a ministry of Reedy Creek Baptist Church. 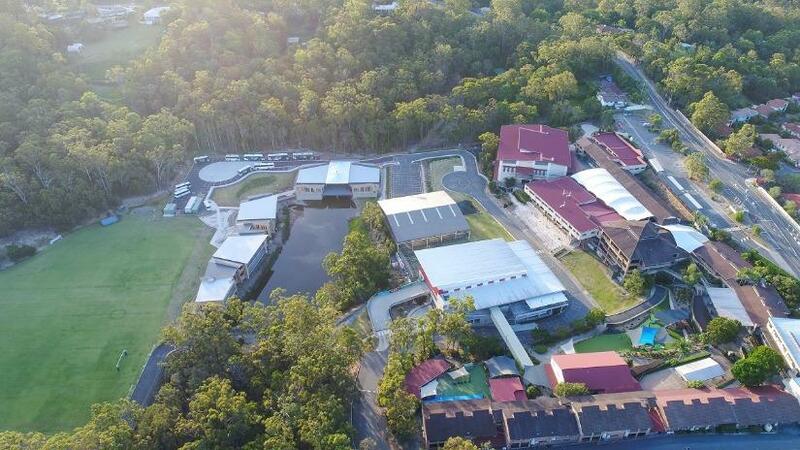 The campus is set on 10 hectares of natural bushland behind Burleigh Heads on the Gold Coast, and offers state-of-the-art facilities for all students from Pre-Kindy - Year 12. Hillcrest is guided by our ethos of ‘Excellence in Christ’, where students are taught by exceptional Christian teachers who are committed to giving each child the best possible educational experience, while nurturing their individual talents and interests, and inspiring them to aim for excellence. We offer many highly innovative facilities that have been purpose-built to cater for our breadth of curriculum studies, and a range of cocurricular programs. As a College, we have an excellent reputation for our inclusive community, and our consistent success in NAPLAN, Performing Arts, and Sport. Our approach to education is holistic, innovative and empowering, and is anchored by our commitment to serving our Lord Jesus Christ. Our aspiration is for Hillcrest graduates to leave our College as confident, caring, and skillful young adults who have been equipped to thrive in the world, and make a meaningful contribution to society. Contact Hillcrest Christian College if you would like an Executive Tour, or more information about our College. Purpose-Built Prep-Year 2 Castle Learning Centre, Science Centre, Assembly Halls, Two 3-storey Multi Purpose Centres including Gyms, Performing Arts Theatre & Studios, Music Rooms, 3-storey Modern Resource Centre, Computer Labs, Computer-linked Classrooms, Design and Technology Centre, Film & TV Studio, Fine Arts Studios, Home Economics Centre, Commercial Kitchen, Private Bus Service and more. Pre-Kindy to Year 12 Balanced Australian Curriculum; Kindy; Focussed Early Years Programs; Extended Senior Specialisation; University Partnerships in Years 11 and 12; Languages taught, Gifted & Talented Programs; Performing Arts; Christian Living and Pastoral Care Programs for all levels. Drama, Dance, Music, Film and Television, Duke of Edinburgh Award Scheme, a variety of Sporting Pursuits. Education is so much more than just academic achievement, and at Hillcrest we focus on helping students to grow socially, spiritually and in their cocurricular interests. Our Chapel and Christian Living programs, and our various service opportunities, are a core part of Hillcrest life. Students have the opportunity to explore their talents on campus, through organised community events and activities. Hillcrest provides a robust Christian education, in a community-focussed culture, where every child is treated as a treasured member of our College, each bringing their own unique God-given gifts and talents. - Are prepared for success in personal life, in further education and in employment. Hillcrest offers an extensive bus service for students travelling to and from the College each day and uses their fleet of modern, air-conditioned buses. All buses are equipped with three-point seat belts and are installed with cameras for safety. There are seven different bus routes travelling South to Casuarina Beach in Northern NSW, West to the Gold Coast Hinterland and North as far as Runaway Bay. We also provide trips to and from the Varsity Lakes Train Station. For more information and to view maps of the College's bus routes, visit the Bus Service and Transport page on the Hillcrest Christian College website. Hillcrest Christian College is located 1.4km from Varsity Lakes Train Station. Shuttle buses run each day at a cost of $1 each way, or alternatively it is a 17 minute walk to the Train Station. Hillcrest Christian College has been embarking on an exciting journey of growth, innovation, and change in recent years. We are a College that is embracing and redefining 21st Century education, while standing firm on the core values envisioned by our founders over 36 years ago. In 2016, we unveiled the College's five-year Strategic Plan, a plan to cement and connect our history and College ethos, with a bold and exciting future. A plan that would see Hillcrest provide a learning environment of world-standing, where every student would be equipped to succeed spiritually, educationally, and in their extracurricular pursuits. Three years into this Strategic Plan, and we can honestly say that Hillcrest is flourishing. Our reputation in the community is stronger than ever before, and our enrolments have increased significantly in recent years, with waiting lists across most of our Year levels. Our classrooms are filled with incredible young men and women imbued with character, confidence and concern for their community. Our campus now offers some of the most amazing educational facilities imaginable. We have been blessed beyond measure, and give glory to God for all that He began at Hillcrest Christian College, and all that is He continues to do within our College community. If you are considering Hillcrest for your child, I would personally love to meet you and I offer regular tours of our Campus to give parents the opportunity to explore our facilities and ask me any questions they have about our College. I hope to meet you in the future.